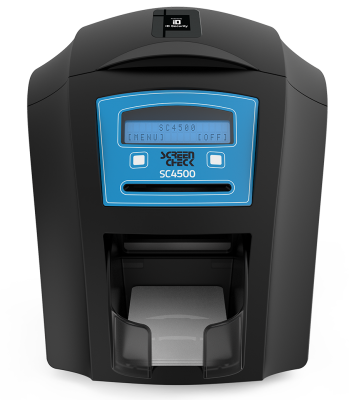 If you're looking for a durable way to easily produce multiple ID cards at once, you need the ScreenCheck SC4500 ID Card Printer. 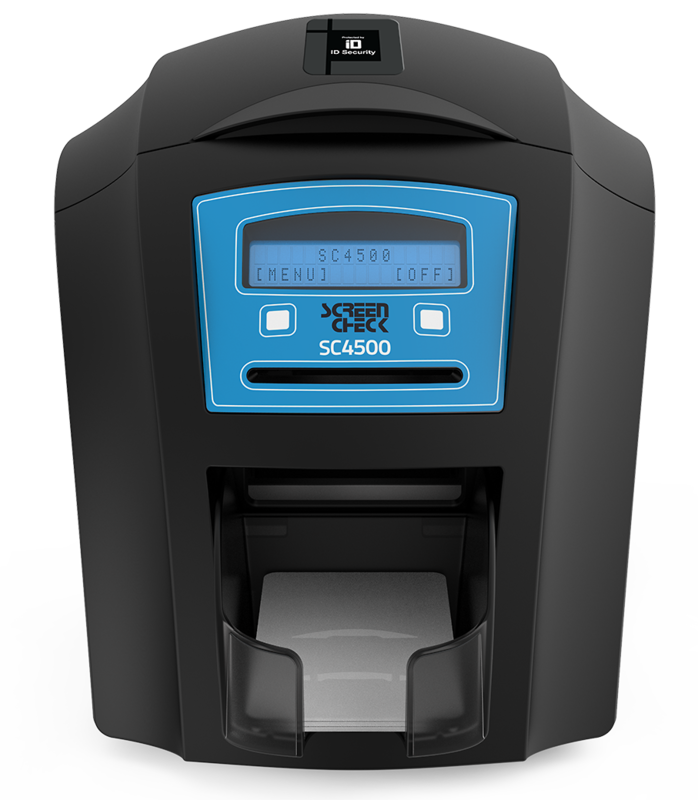 The SC4500 comes with a 100-card feeder and a 30-card output hopper so you can easily print one card or hundreds, depending on your needs. You can also secure your ID cards with a HoloKote anti-fraud watermark. The SC4500 is a single-sided printer which can be easily field upgraded to double-sided by a simple drop-in upgrade. The SC4500 Duo is pre-configured as a double-sided printer. You can print a HoloKote security watermark across the card surface. When used with HoloPatch cards, one area of the HoloKote watermark is highlighted as a high visibility security seal. A choice of 4 fixed HoloKote patterns are selectable from the printer driver. Smart card encoding: Contact chip, MIFARE, DESFire, and iClass. USB rev1.1 (USB 2.0 compatible). Ethernet.